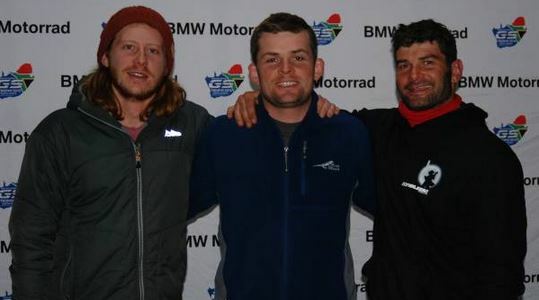 South Africa’s top 23 BMW GS riders gathered outside Amersfoort in Mpumalanga last week for the GS Trophy 2016 South Africa Qualifier. Eight Regional Qualifiers of the GS Trophy 2016 South Africa Qualifier have been hosted across South Africa and Nambia, with the top three contestants from each region making it to the national qualifying round. Participants underwent three days of rigorous challenges designed to test skills such as endurance, team work, technical skills and mental tenacity. On the third day Team South Africa for GS Trophy 2016 was announced. The men who make up Team South Africa are Byron Coetsee (Western Cape), John Harris (Free State) and Charl Moolman (Western Cape). Eugene Fourie (Mpumalanga) is the reserve. “The calibre of all the riders who took part in the national qualifying round was world class. This was not an easy competition, but the team South Africa finalists stood head and shoulders above the rest. We are proud of what they have achieved and I am confident of their success at the 2016 International GS Trophy to be hosted in South East Asia,” says Alexander Baraka, General Manager of BMW Motorrad South Africa. “South Africa has a good track record at the International GS Trophy. In 2014, we beat 14 teams to finish second. The level of interest and commitment that our teams show is inspiring,” he elaborates. While the GS Trophy 2016 South Africa Qualifier is over, GS owners still have the opportunity to test their mettle at the GS Trophy South Africa (previously known as the GS Eco) from 10 to 14 September in Drakensville, KwaZulu-Natal. Entries for attendance to the GS Trophy South Africa are still open. As was the case with previous events (GS Eco), this year’s event will feature the GS Skills challenge but in a new format that will feature the top three contenders from the Regional Qualifiers competing for the coveted prize of the GS Trophy South Africa Region champion. “Going forward we will continue annually with the GS Trophy South Africa Regional Qualifiers, culminating in the skills challenge at the GS Trophy South Africa. We want to encourage all riders for future events to participate in regional events in order to showcase their skills and the excitement and camaraderie of outdoor riding,” elaborates Baraka. Attendees of the GS Trophy South Africa will also have the chance to see Team South Africa in action as well as the qualifiers for the International Ladies Team that will both take part in the 2016 International GS Trophy. Entries for attendance to the GS Trophy South Africa are still open. For more information about GS Trophy South Africa please visit www.gstrophy.co.za.